Unfortunately i've no clue where i've found original, so im sorry that i have no link to it. I like the idea of a tree growing on the brick. 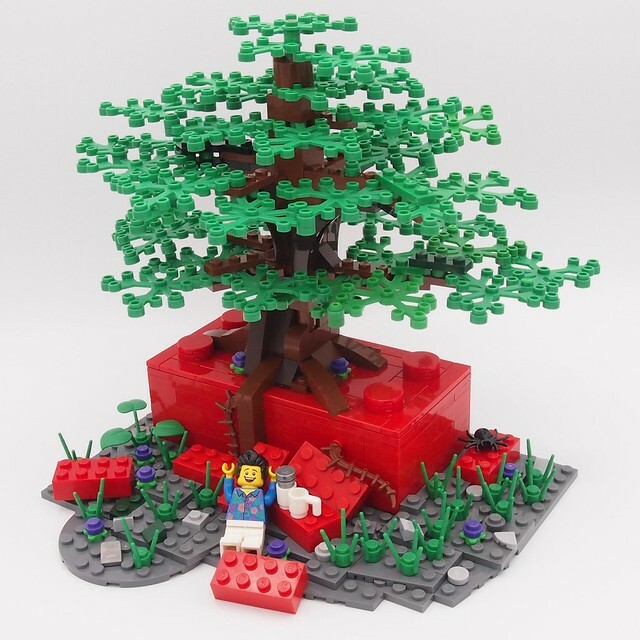 Perhaps the top of the brick should be a bit damaged around the tree roots. Other than it looks a lovely MOC to display. I wonder what the original looks like. this build makes me happy!